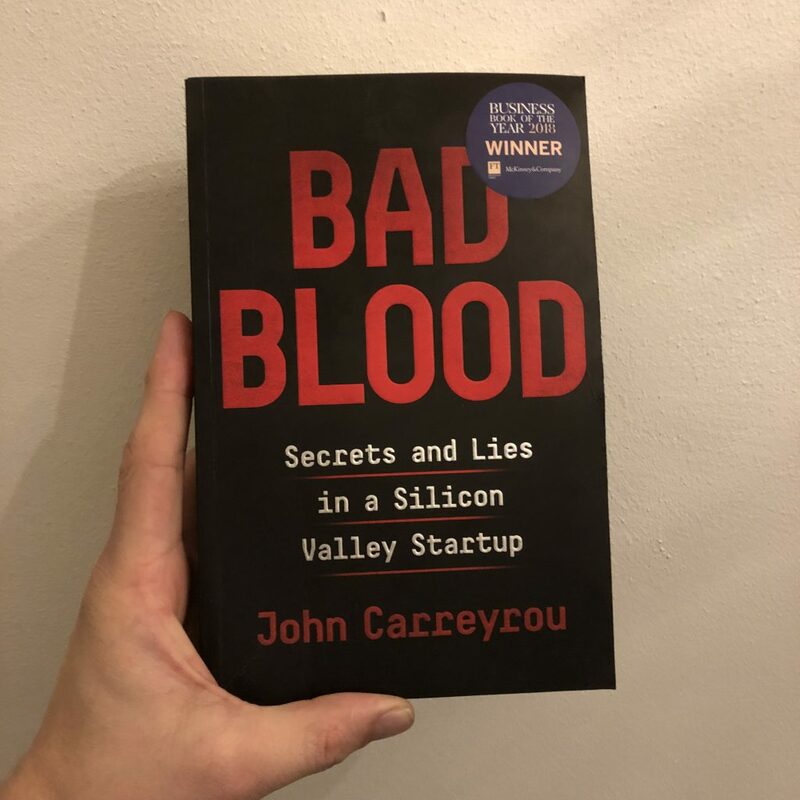 Everything you read and hear about Bad Blood by John Carreyrou is true. It is an incredible — TRUE — story, told exceptionally well, about the lethal cocktail of greed, ambition and narcissism. If this wasn’t non-fiction I would have dismissed parts of this book as contrived. We are used to Silicon Valley success stories, but reading about such a supposed success, which raised 900 million dollars at a 10 billion dollar valuation, and which manages to completely fool people such as George Shultz and Henry Kissinger and which, eventually, turned out to be one big decade long lie, is insane. But not only is the story in itself extraordinary, two other things make this book stand out. First, the investigation about how this book came to be is part of the story itself. Which makes for a riveting read. And secondly this book is a celebration of the freedom of the press. With the dazzling number of lawyers, lawsuits and NDA’s described in the book, I was sometimes worried it would be snatched from my hands as I was reading it. The pressure put on people NOT to reveal the truth was enormous. If people like Elizabeth Holmes and David Boies would have had their way, the world would look a lot different. So you get a real sense how these things can go the other way, and where we will never know the truth. But the truth has prevailed (this time) through the freedom of the press. Bad Blood gives hope! The Steve Jobs book by Walter Isaacson (my favorite biographer) is mentioned a few times as a (misplaced) inspiration to some of the main character’s actions. Let’s hope Bad Blood can be such an inspiration of how not to do things.